Beam them up Scotty, or whoever is doing the beaming on the Star Trek: Discovery TV show on CBS All Access. The newest iteration of the Star Trek TV show franchise has chosen a captain to helm the Starship Discovery. Actor Jason Isaacs has been cast as Captain Lorca. The Starfleet has taken on some more personnel, too. Mary Wiseman will play Tilly, a senior Starfleet Academy Cadet. 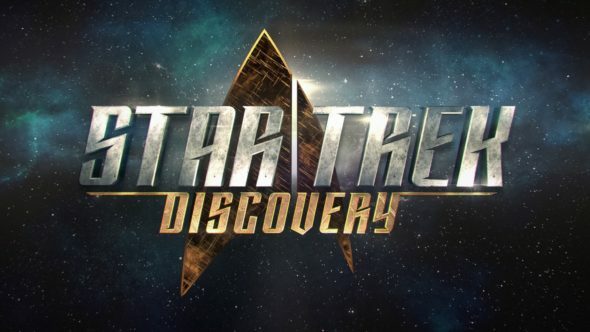 The Star Trek: Discovery cast also includes: Sonequa Martin-Green, Doug Jones, Anthony Rapp, Michelle Yeoh, James Frain, Chris Obi, Shazad Latif, Mary Chieffo, Terry Serpico, Maulik Pancholy, and Sam Vartholomeos. Learn more from this CBS All Access press release. Pictured: Jason Isaacs and Mary Wiseman (courtesy of CBS All Access). Studio City, CA — STAR TREK: DISCOVERY announces Jason Isaacs and Mary Wiseman as the newest additions to the series. Mary Wiseman will star as “Tilly,” a Starfleet Academy Cadet in her final year of study, assigned to the Starship Discovery. Wiseman, a recent graduate of Juilliard, can also be seen in “Baskets” on FX. What do you think? Are you a fan of Jason Isaacs and/or Mary Wiseman? Will you buy a subscription to CBS All Access to watch them in the new Star Trek: Discovery TV show? Let us know, below. More about: CBS All Access TV shows: canceled or renewed?, Star Trek: Discovery, Star Trek: Discovery: canceled or renewed? please do us all a favour, cancel this show including Horizon. Starships should go forward. Not backwards. Ship design should improve. Not the opposite. I thought I read earlier that Ms. Green was supposed to be the Captain. Did something change? Green is the show’s focus, but not the capt. I’m guessing he’ll get killed off.